Discreet Spy Nut And Bolt Safe - Constructed Of Solid Stainless Steel, Hidden Compartment, Screw-Top Lid - Length 2 1/2” | BUDK.com - Knives & Swords At The Lowest Prices! 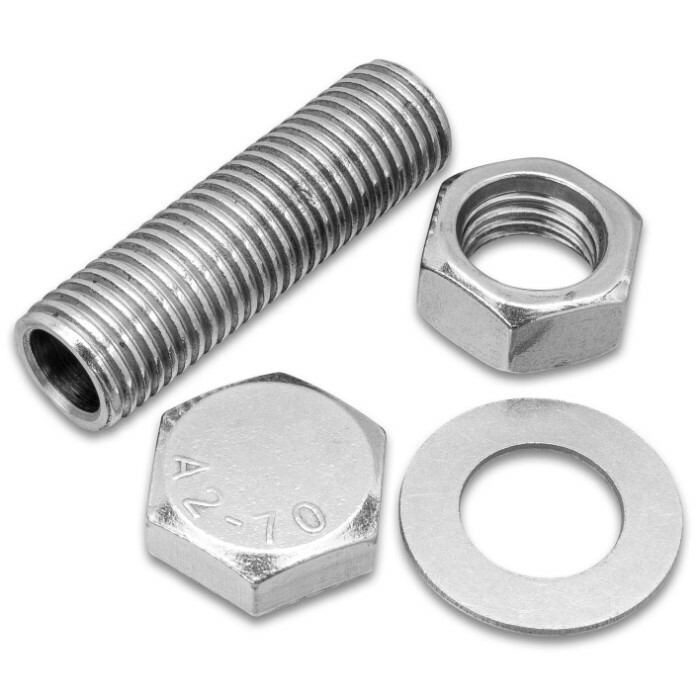 Our Discreet Spy Nut And Bolt Safe will never, ever be found by a burglar! You can count on that! Cleverly disguised as a large bolt, the safe can be “hidden in plain sight”. 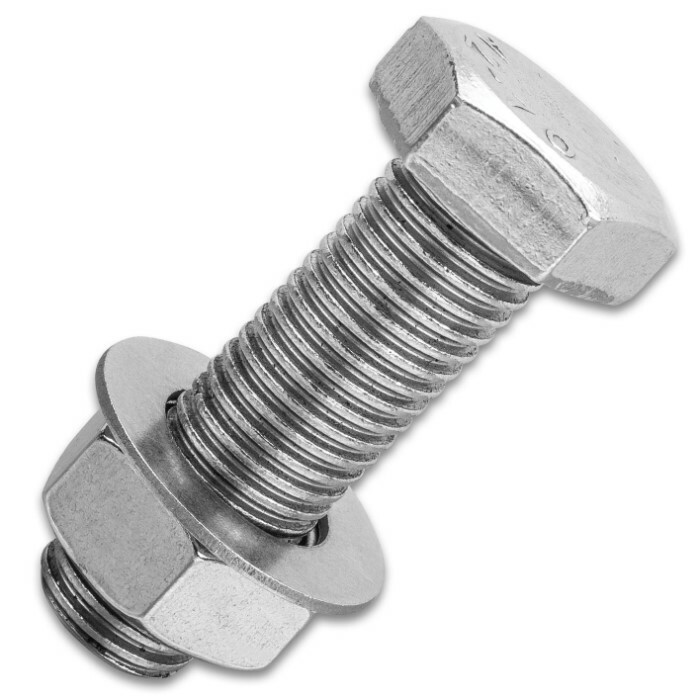 The actual working nut and threaded bolt is constructed of solid, rust-resistant stainless steel and includes a washer. When you unscrew the top of the hex-head bolt, a hidden compartment is revealed which is perfect for hiding gem stones. 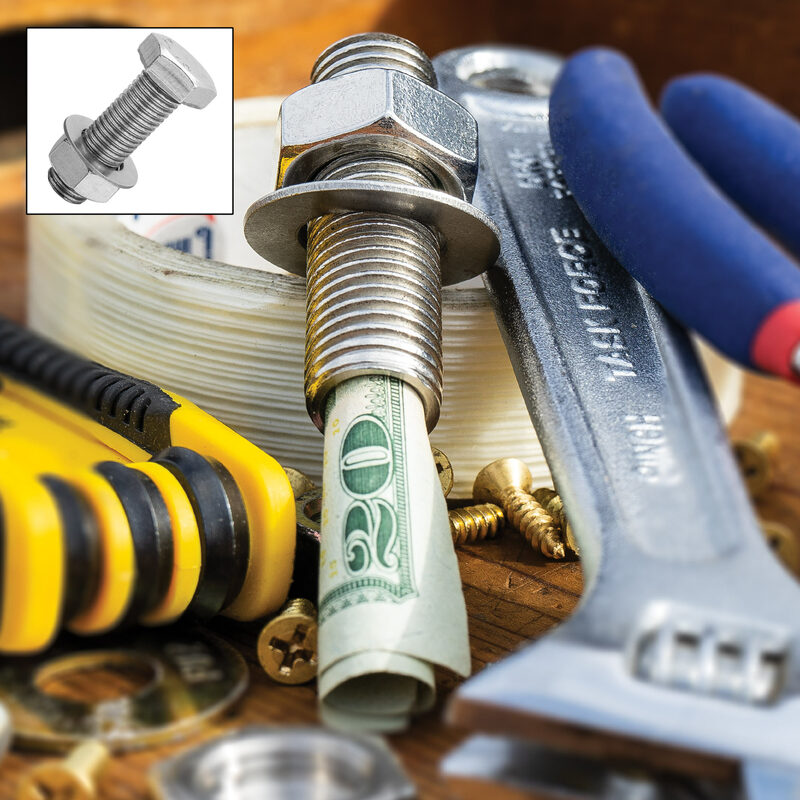 The bolt is 2 1/2” in overall length and the tube-shaped hidden compartment is approximately a 1/2” in diameter. The Bolt Safe looks and feels totally real! 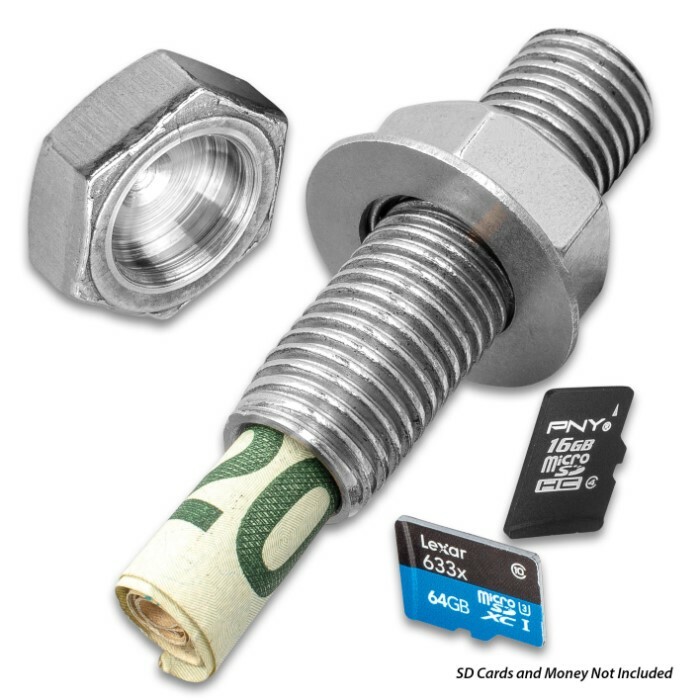 You'll find you have to fold paper money fairly small to get it to fit in the bolt. I am happy with it. 5 stars.